This episode is in two halves. In the first half we talk about how we are extending our network, who we are meeting and what preparation we do. A nuts and bolts, down to earth summary of how we are making progress as writers. In the second half we talk about keeping strong mentally. How do you take knock backs? How can you find support? What happens when you doubt yourself? Danny talks about his own personal situation a few years ago, and how he turned that around. Here is my latest HD light leak. As ever, available for free (and also you can watch it on YouTube) via Creative Commons, details below. I collect all my light leaks on a special page where there are MORE FREE DOWNLOADS, so bookmark it. So far, as I upload this, they have been downloaded well over 575,000 times! And used in TV shows on NatGeo, Discovery and BBC1. As well as trailers and indie films. This new one has a ghostly, spooky, misty kind of look. In fact it is different light streaming through ice! And there's two versions in this 1 clip. A lot of scriptwriters move into being a writer-director. This has it's own challenges when it comes to developing a script. Here we talk to two old friends of ours, Dan Pringle and Suki Singh about the journey with there respective movies. I think what I took away from this podcast was the fact that you can still learn so much from other film makers, even if they work in other genres to you. 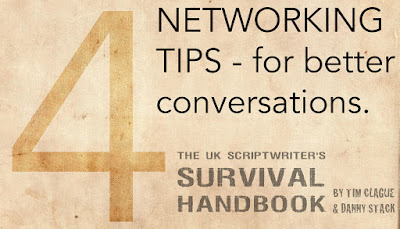 4 NETWORKING TIPS - for better conversations. "I hate networking. I don't know what to do"
This is a common thing you hear writers say. But actually it's a common thing to hear anyone in business say. I can't tell you, in an online post like this one, what to say. It has to be your words, about you. But I can give you four tips on how to say it and what your approach to people should be like. Take a step back and think: How do I communicate with someone else at a human level, just two professionals discussing a project? Not as a crazed, passionate, self- obsessed writer trying to impose themselves on someone they see as a walking pile of cash! If you are thinking; "how can I get them to do x" then you are already on the wrong path. Your conversations with anyone in the industry should be just that, conversations. You should be listening as much as you are talking, showing an interest in their projects as well as expounding the benefits of yours. The ideas you’re outlining are well known to you, so you talk through them fast. This could be coupled with the desire to just get the damn thing said quickly. This is akin to the man who decides to drive home at top speed because his brakes are broken. Slower means you look more confident and you are less likely to trip over your tongue and come across like a gabbling fool. So, yeah, slow it down. Listen to what the other person says. And that means really listen. Not listen out for the things that you want to hear and ignore the rest of it. Listen to tone and watch body language, too. 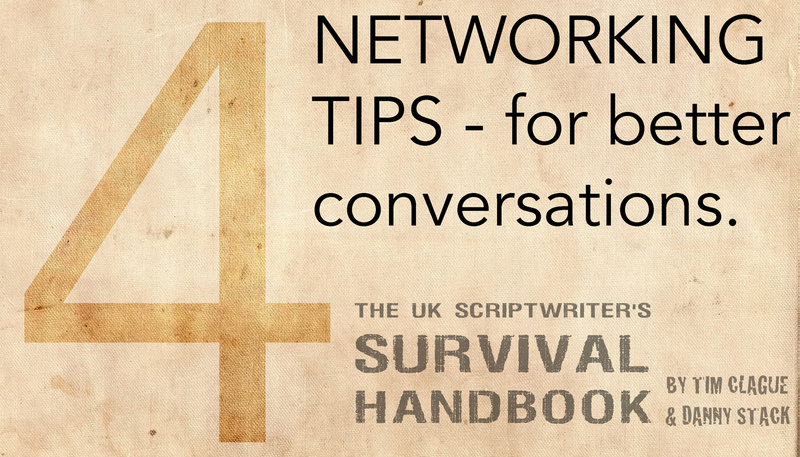 Note: This is an extract from our book, the UK Scriptwriters Survival Handbook which I co-wrote with Danny Stack. This has been one of the more popular sections, hence why I'm sharing it here. Give it a go! 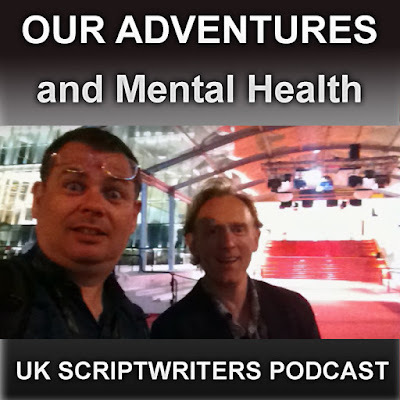 We often get asked to feature up and coming writers and film makers in our podcast. Why? 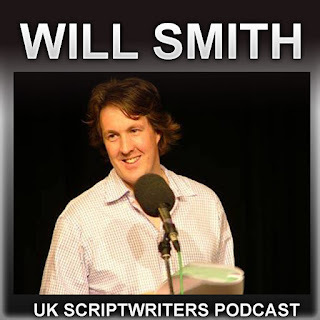 Because while it is great to hear from some of the top people in the biz, if you are a beginner to scriptwriting it can seem a million miles away from where you are now. Mustapha Kseibati is on the way up in his career right now! 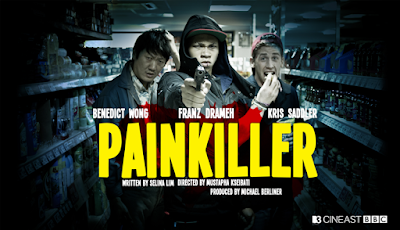 He's done some top notch shorts (starring Benedit Wong and Kayvan Novak) after starting out in the music video world. It took him years of being runner and edit assistant first. So his route is one of hard graft and taking opportunities when he could - and a few gambles. But he can tell it in his own words. You may see Will Smith's photo and know you've seen him somewhere. He's acted in the Thick Of It, Paddington and with 'Harry and Paul'. But in this podcast episode we delve, of course, into his career as a writer. Writing on Time Trumpet, Veep, Omid Djalili as well as for The Thick Of It too. How did he get started? And how did that all lead to his latest project, a non-comedy novel called "Mainlander"? 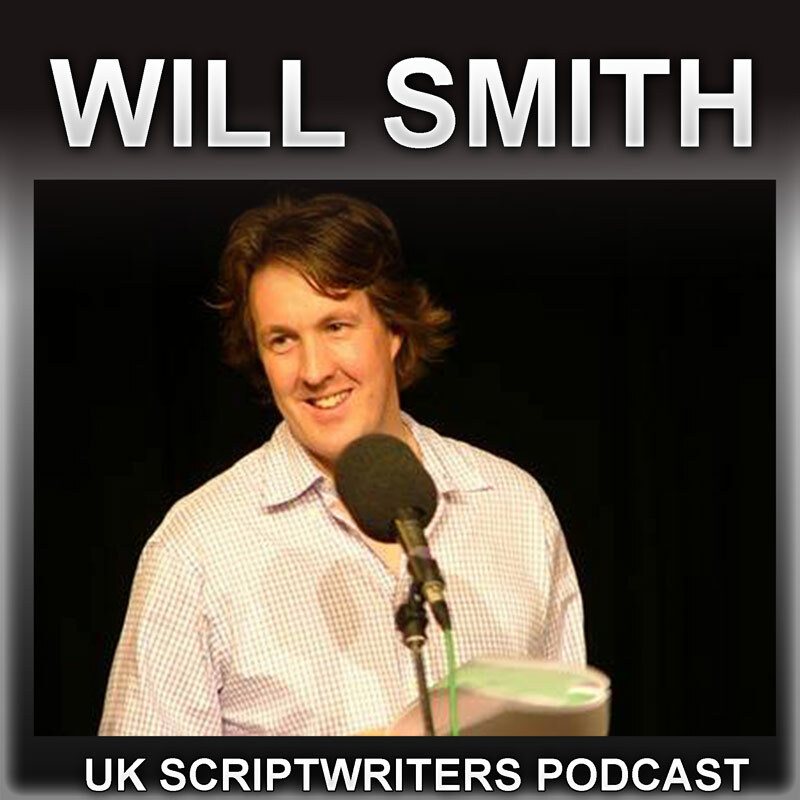 This episode has a guest interviewer, Jan Caston from Nelson Nutmeg Pictures, as she managed to bump into Will in Jersey and nabbed him! Just to set the scene for new readers. 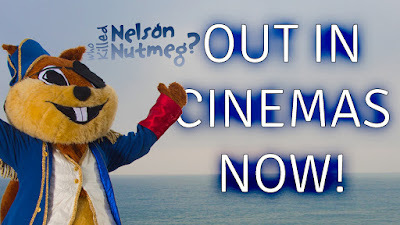 I co-directed and co-produced a micro-budget children's feature film called "Who Killed Nelson Nutmeg?" alongside my colleague Danny Stack (we do a podcast together and have written a book on scriptwriting). The film was made as a home-entertainment release, for a family to watch together or to amuse the kids. Here's the website and the IMDB page. We made it for very little via a Kickstarter and some small investments, so had modest ambitions for it. But we knew there was a definite gap in the market for live-action kids movies. The figures don't add up to make such a niche movie for a large Hollywood budget, the demand just isn't there. But to make a low budget movie in this genre could offer some good returns. Plus we love kids' movies, so we went for it. We cast Bonnie Wright (Ginny Weasley from the Harry Potter movies) to give it a bit of class and we got some expert advice from film director Nigel Cole and sitcom writer James Cary. So it all turned out good. The unexpected part was the world premiere of the film being at the BFI London Film Festival. This went really well, especially for a film edited and graded at home on Premiere. We had never really thought there would be a big screen opportunity. And our conversations with the industry continued to confirm that understanding. People just won't go out to the cinema in large numbers to see a film that they haven't really heard of that is just for kids. BUT, while large numbers may not do it, quite a few will. Not enough for a big release across hundreds of the screens, but still a healthy number. So we are doing a small release ourselves and via OurScreen. Here's the trailer for it. So here's how we created our own small release. Firstly, Danny emailed all the local independent cinemas in our area. We felt that as the film is all shot in Dorset, we could build on that as a marketing angle, getting on the local BBC radio and local papers. Obviously we did a lot of social media work and also got the film listed on the various "what's on" websites. So via emailing the independent locally ourselves that got us a screening at Exeter and Poole Lighthouse and hopefully Bridport. These would be a simple profit split basis. To get into the larger chains is trickier. But OurScreen helped us out on that. They are a 'cinema on demand' outfit. Why is this necessary? Well the reason that cinemas don't want to book smaller films is that they can't be sure there is sufficient demand. They could end up with only a few people in a screen. That screen could be showing a blockbuster instead and be fuller and more profitable. We could personally try and convince the cinemas that we have some demand, but why should they believe us? This is where OurScreen helps. They provisionally book the screen. Then people provisionally book tickets via OurScreen for the screening. Once a pre-agreed minimum has been booked (usually about 20-30 tickets) then the screening is finalised. The cinema has the proof that demand is there and has some bookings already in place. It's a good system. We have 6 screenings on OurScreen so far, but we could ramp up more depending on how it goes. A final note about certification. To screen a film in the UK you need a rating (U, PG, 15, 18 etc). The normal way to do this is to get a BBFC certificate. But this costs money - which probably isn't worth the investment for a few screenings. You will need to get a different one for a DVD release anyway. However, you can get one from the local council (of the screening venue) for free or a low cost normally. Every set up is different so its a pain. BUT, if it is only a few councils then its not a major issue. Our release is only in a small patch so we went that route. So that's how we are doing it. Watch this space for how it goes. So far, the tickets are selling about to plan. 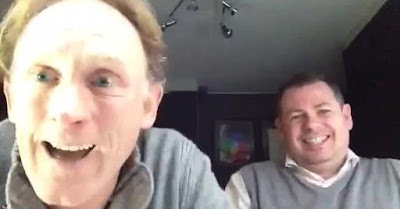 We did a special LIVE version of the podcast on TwitCast and Periscope. This is an archive of that. So when you hear us answering questions, these are comments and notes sent in via that those apps. It was good fun to do, to have the banter! Let us know if you want more. 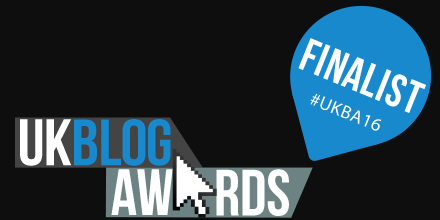 Good news - The UK Scriptwriters Podcast has been shortlisted in the Podcast / Vlogger category of the 2016 UK Blog Awards. Which is really just an excuse to listen to some classic podcasts from the past! You know it. 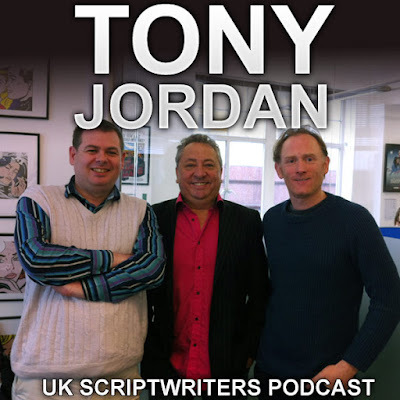 In this special podcast Danny Stack and I talk to UK TV writing legend, Tony Jordan. WATCH OUT FOR THE BAD LANGUAGE if that's not your bag as Tony has some strong views on how TV works or rather doesn't always work! His writing method - which is unusual! Life on Mars, Dickensian and Moving Wallpaper. Tony also wrote the foreword for our book, which is out now via Amazon. Any issues - click on the pic below to go to the homepage of the podcast. 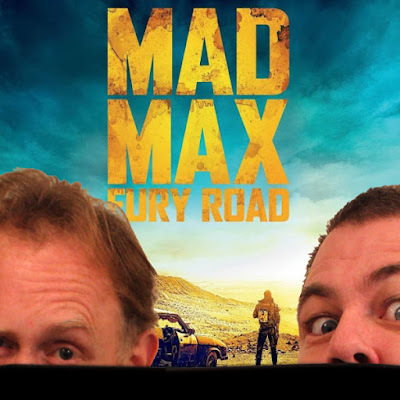 In this special podcast Danny Stack and I talk to one of the co-writers of Mad Max: Fury Road - Brendan McCarthy. Brendan is not your typical writer, which is why what he said totally resonated with me. He is an artist and designer too. He tells stories through pictures - which is what films, especially action films, should be. So I would describe him as a 'visual storytelling' expert and advocate. Do not listen to this podcast if you have not seen the new Mad Max and you intent to soon. Brendan is open about talking about the whole of the story and the process, including the conclusion and third act. And we also talked about the role of women in the film, which has caused some discussion on line. Here's a short featurette that explores that more. And here's another interview he did recently, text based! This is just our method, based on the experiences of other film makers we know. Would be good if people had other methods they think are better! If so, share in the comments!